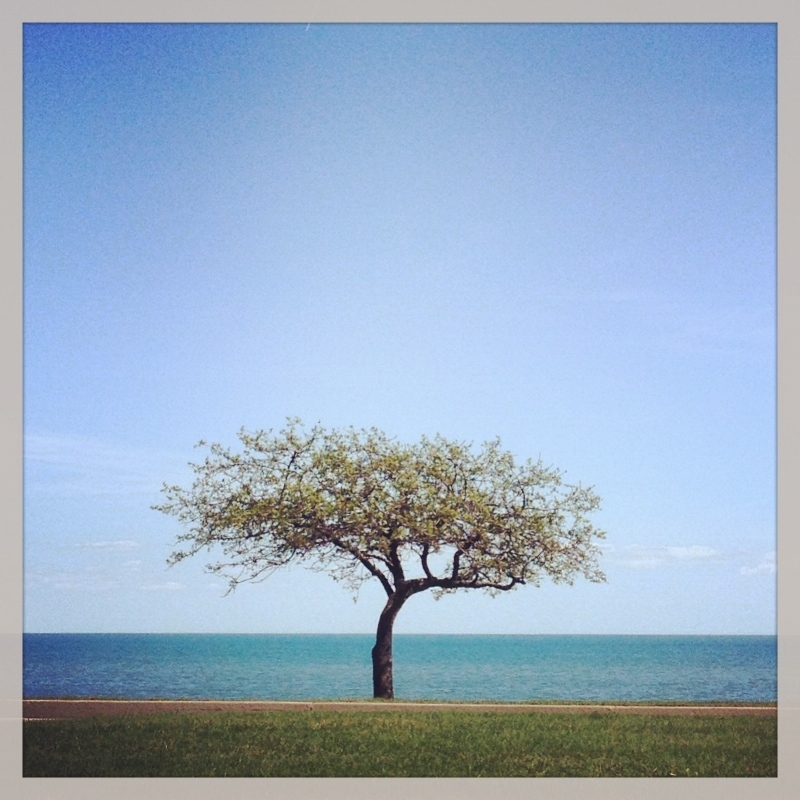 Twelve More Things I’ve Learned (about Grosse Pointe). The electric oven is eons better than the gas oven. There, I said it. Everyone I’ve talked to has warned me about the vigilant and prominent police presence. Above all, do NOT speed, they say. Police are everywhere. Okay, done. So why does everyone ride so close to my bumper? Stop tailing me. Where are you even going? I would say that every time I get on the road, someone gets all up on me at least once. Some old guy in a Jaguar actually passed me the other day on a 25 mph road. I knew produce was going to be sad. Still. My one girlfriend here (also a California transplant) said to me with a shrug of her shoulders, “I hate to say this, but you really just have to…you know, lower your standards.” Now when I buy avocados, I buy at least five at a time, in case the first two I cut open aren’t usable. 5. Lazy summer evenings are easily one of my top five most favorite things in life. Oh how I’ve missed you, Summertime! Contrary to popular belief, San Francisco does not have a true summer. Certain pockets of the city might, but much of the city is covered in fog and cold during the months of June, July and August. Which is why tourist stores display their “I heart San Francisco” sweatshirts at the front of their shops in summer. And why I continue to see Facebook photos of my friends wearing parkas. 6.Kids live here! Sure, kids live in San Francisco, too, but you don’t really see them. It’s hard to explain. In Grosse Pointe, kids are everywhere and they’re made to feel like part of the community. Often kids are unaccompanied or even alone. I’m talking about little kids… five- and six-year olds taking their dog for a walk around the block or riding a bike up and down the street. 7.Running along the lake is just as great as running through Golden Gate Park. Although the dirt paths in the park were a little easier on the knees – yikes. 8.Seriously, stop tailing me already! 9.I may never eat good Chinese food again (unless I’m in Hawaii or San Francisco or London. Or maybe China). 10.Trader Joe’s is the only store that sells organic milk that is not ultra-pasteurized. I’ve looked everywhere. If you don’t know the difference between pasteurized and ultra-pasteurized, you can check out this explanation at Musings of a Housewife. 12.When all else fails, go for a bunny walk. This has helped stave off many a meltdown at our house. We haven’t actually seen any bunnies on these walks (although oh my gosh you guys, I saw a little baby bunny in our backyard last week. It was sooooo cute!) I’m sure the huge, black dog has something to do with that. But we have seen many from the car on our bunny drives. I’m enjoying these lists. I may just make it a regular thing. This entry was posted in Fun, Grosse Pointe and tagged Culture, Grosse Pointe, Humor, Moving, Musings, Personal, Small Town, Small Town Living, Summer, What I've Learned. Bookmark the permalink. I appreciate all of your posts. Thank you for sharing. Regarding the organic, unpasteurized milk: Have you tried Whole Foods? It’s in Detroit, off of I-75 and Mack. (Near Wayne State.) Also, the local farmers markets sell a lot of good produce and other natural/organic food. My favorites are the Woods’ market, and the Royal Oak Farmers’ Market, which is year round. By the way, my wife and I bought the kitchen table from your house lol. Ha! That’s great (re: kitchen table). I bought a shoe rack. I’ve been to Whole Foods, but it was when I first got here. It’s really not that far of a trek, just wish there were more options here. I need to get on the ball with farmer’s markets (and now that I can cook, for sure will be doing that) and also want to look into CSAs that deliver locally. Is the Royal Oak market the same as the Birmingham one? I’m guessing no. I’ve been to the Birmingham one. Have not been to the Woods one, only the Park. Will definitely check it out when it starts up again – thanks! Here’s to lowering standards, and kids everywhere! What about the sushi…(i jest). California misses you. I’m sure your SF driving skills are no match for even the most aggressive jaguar. And big thumbs down to the pesticides on the lawn!! How is it that people do not even know that this is a problem…?!?! Love the pen name :). I know, seriously the pesticides. I want to scream at the kids whenever they walk on someone’s lawn. At least there are little flag markers that say something like, “please keep off until dry” or some such. Although it is still toxic when dry, please. And I’m sure it blows into the next door neighbor’s yard. One lawn last year had a big sign that advertised “green, non-toxic” pest control, so when it is our turn to take care of a lawn, I’m going to try and find that company! omg, I love that you told me this – thank you!! I totally understand the avocado thing. [sigh] I like these lists, too! Thanks!. The fruit, at least, is quite delicious. And already the summer corn is better here too. Lazy summer nights in Michigan are the best…….and “up north” they are even better! Looking forward to a great summer!! My dad is from Detroit and I visit as you know, that driving thing is nuts! Don’t get it. So are you going to Travers City or the UP this summer :) Miss ya gal. Yep, we’re going up in August with G’s family. Rented a house on a lake on the UP. x.o. You must let us know when you come over here again. If you have any extra time, I will make it happen! Good reading! Tailgaters and arse drivers are everywhere, no escaping it. Ohhhh the smell of lawn fertilizer, so pleasant isn’t it? It might be eating holes in your gray matter. My wife being from California, knew that good produce wouldn’t be available up there. Your friend is 100% correct. No truly good Mexican food either. Great photo of the lake, so calming isn’t it? All that fabulous fresh water! Love the lake. Love being so close to water. The fish flies have started….that’ll be another post! Do you mean the 4-winged long tailed flies? They are so gentle. Yes! They are super mellow, for sure. Of all the bugs here, I can deal with them okay, though not looking forward to the deluge of them.